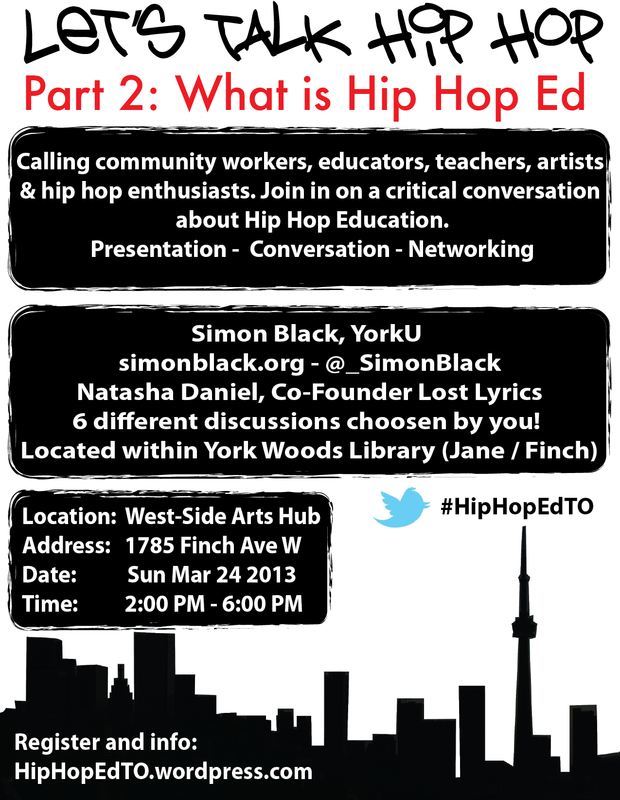 Due to the enormous energy from part 1, we proudly present part 2: What is Hip Hop Ed. We will be asking participants to come up with 6 topics for small group discussion / working groups, so come prepared to discuss! (Located within York Woods Library (Jane/Finch). Enter through Library and go down one floor. Event looks awesome! Going to check it out this weekend!!! Follow these great Hip Hop Ed People on twitter!!! Thank you all for the great #HipHopEd chat discussing Harlem Fake / Shake and the co-opting knowledge.